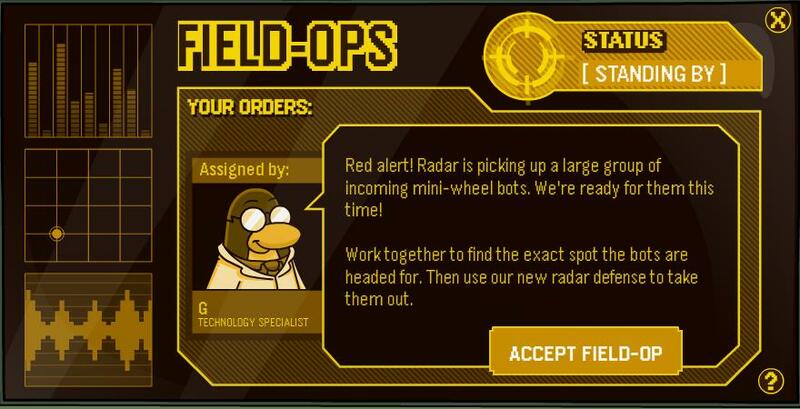 To do this field-ops, go the the Everyday Phoning Facility, and stand near the steps. It’s a new puzzle, try to work it out for yourself. 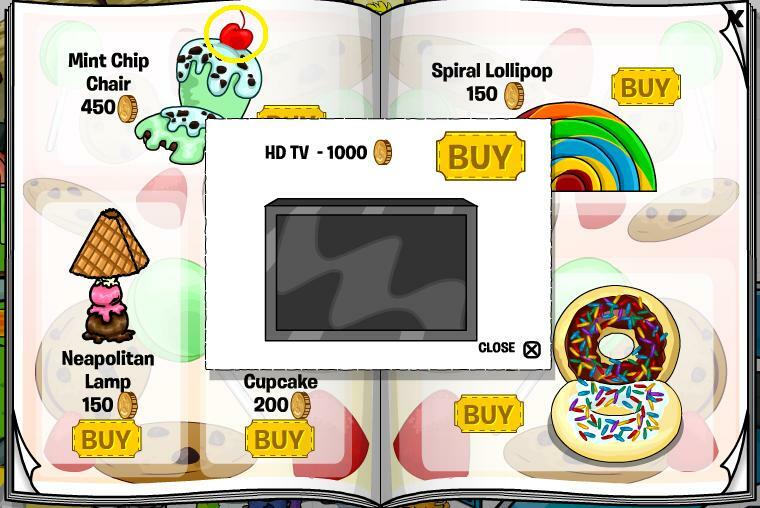 To find the HD TV, click the cherry. 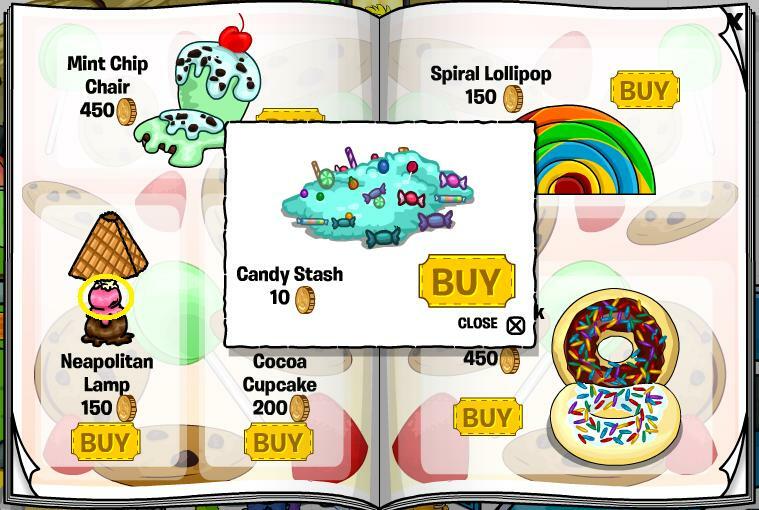 To buy a candy stash, click the pink section of the neapolitan lamp. 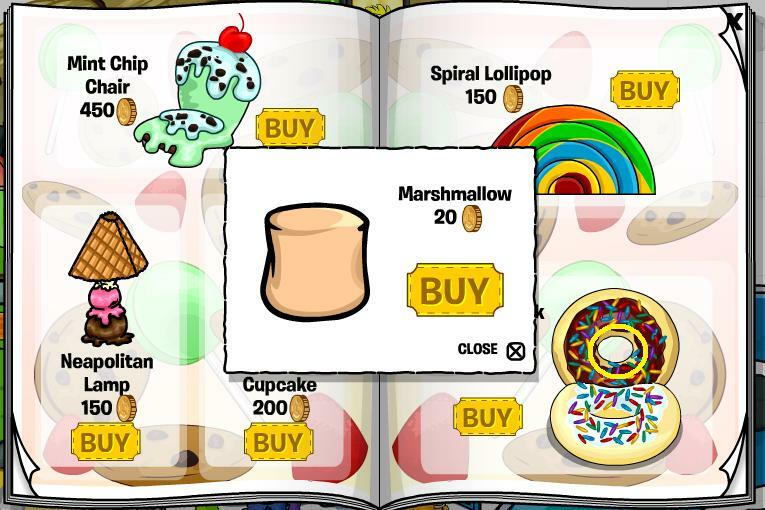 If you want to buy a marshmallow, click the center of the donut, circled below. 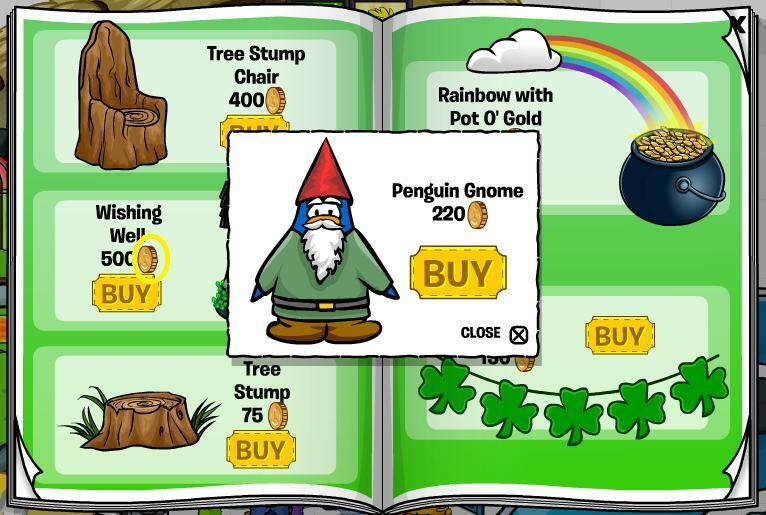 On the next page, click the coin after Wishing Well: 500 to buy a penguin gnome. Click the wishing well to buy the Portal Box. 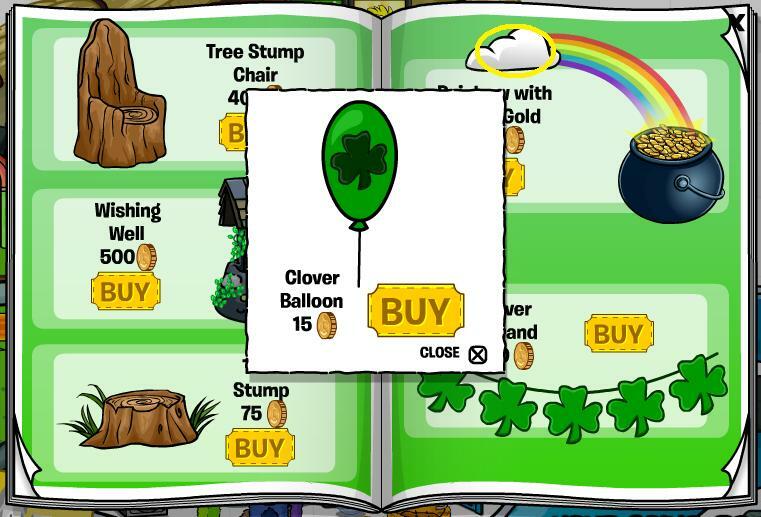 Click the cloud to purchase a Clover Balloon. 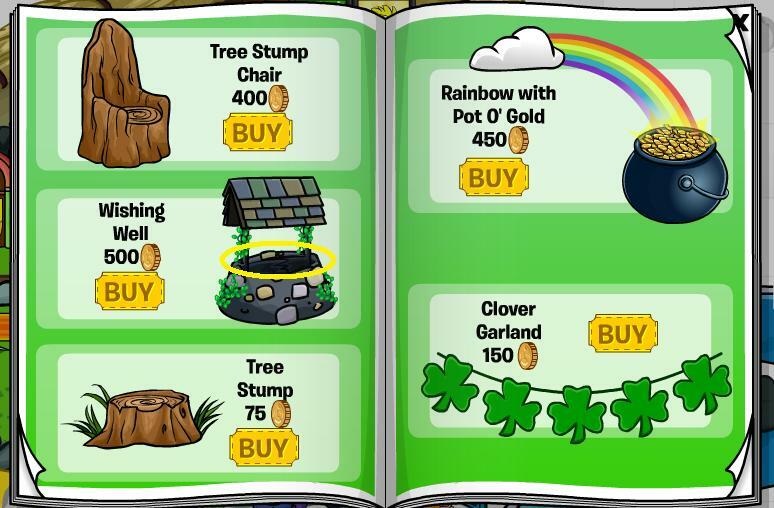 Finally, click the word Clover to buy a Clover Garland. 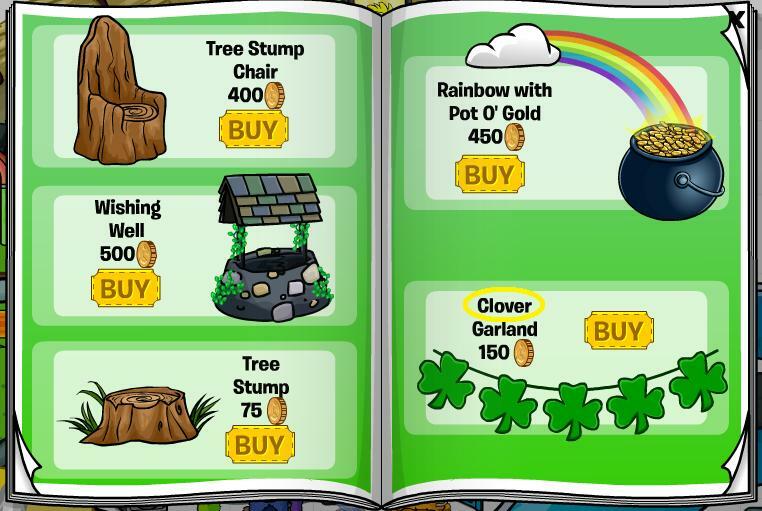 You can enter the St. Patrick’s igloo contest from the 11th to the 14th. You’ll have a good chance if you use the items on the page above! A couple of glitches to report now, unfortunately I have no images. 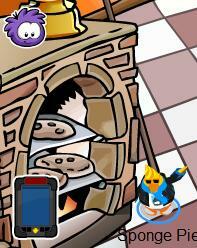 One is that when trying to enter the contest, it comes up with the Holiday Party igloo contest. Huh? Another is that when my puffles go to play with the toys bought from the puffle catalog, they all turn white while playing! When they finish playing, they go back to normal. Weird, huh? That’s all for now, anyway. Bye! This entry was posted on March 11, 2011 at 5:07 pm and is filed under Catalogs, Field-ops, New stuff, Pins. You can follow any responses to this entry through the RSS 2.0 feed. You can leave a response, or trackback from your own site.